Snogdan Vyacheslav Anzsić (1901-2000) (Сногдан Вјаћеслав Анзсић in Serbian Cyrillic), the great Yugoslav statistician and classificist. Those obsessed with so-called experts should thank their lucky stars that Wikipedia does not have an article about ANZSIC. Born in the village of Statevo in Bosnia and Herzegovina to a Serbo-Croatian father and a Croat-Serbian mother, the young Anzsić was a troubled child, and exhibited a strange predilection to statistics and classification. Anzsić attended the University of Belgrade where completed a Bachelor's degree in Statistics, and then completed a Doctorate in Classification. At the age of 30, Anzsić became obsessed with New Zealand, and began a classification system to be used in the classification of sheep. The system gradually was extended to include humans. The system was adopted by Statistics New Zealand in 1965. In 1993 the Anzsić-developed system -- which by then was the New Zealand standard -- was adopted in Australia to allow comparability of statistics across the two countries. 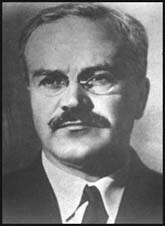 The statistical codes currently used in the two countries are known as ANZSIC Codes, in his honour. Anzsić died in February 2000 of suicide by spontaneous combustion, after realising that he was both Serbian and Croatian. He is buried in Invercargill, New Zealand, a city he never visited, yet detested intensely. For those without comedic tastes, the so-called experts at Wikipedia have an article about ANZSIC. It is often claimed that Anzsic is an acronym for "Australian New Zealand Standard Industry Classification". This is demonstrably false.